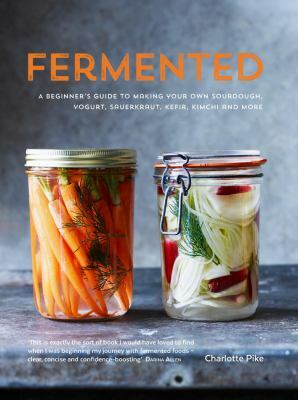 Incorporate fermented foods into everyday eating with delicious recipes that are easily achievable at home with Fermented by Charlotte Pike. This gorgeous, fully photographed cookbook includes chapters covering fruit and vegetables, milk, pulses, baking and drinks that will introduce you to unique new flavors as well as traditional fermented vegetables such as German Sauerkraut and Korean Kimchi. Use fermented ingredients in dishes such as Kraut-slaw, Bacon and Potato Soup, Kimchi and Pork Salad and Smoky Grilled Tempeh. Learn how to make sweet and savory yogurts such as Coconut Yogurt or Cardamom and Rose Yogurt Cream to go with your perfected Sourdough Chocolate Cake.